We design in Paris, with the help of major luthiers from Germany, England and France, and manufacture in China historically based instruments on an industrial scale with the quality control of a major established music instrument manufacturer. 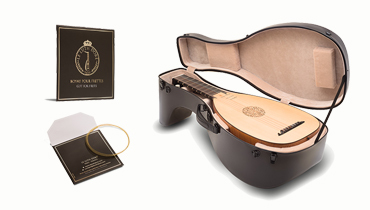 Le Luth Doré also creates and produces music accessories, associated products, and soon new strings. 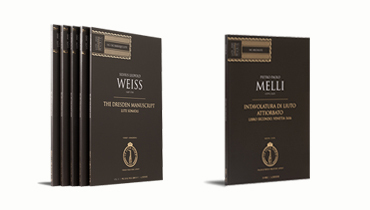 We create, publish and sale sheet music, books and learning methods focused on early plucked music instruments. Repair and maintenance of these instruments will take place in our workshop in Paris. The worshop do not yet exist, and shall be open in 2017-2018. 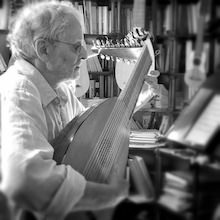 Miguel Serdoura is a Portuguese-French lutenist and recording artist specializing in music for lute, currently resident in Paris. 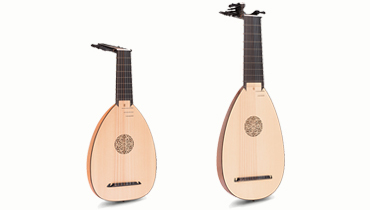 He is a former student of world famous lutenist Hopkinson Smith. Miguel is known on the international scene as a «sensitive, innovative and stylistic rigorous» interpreter of early music. He has written a Method for the Baroque Lute, published in 2008 by Ut Orpheus in both French and in English. Miguel Serdoura’s recordings and publications have received numerous awards. He also gives solo recitals and master-classes in Europe, China, Canada and the US. The music press calls him "The New Prince of the Lute". 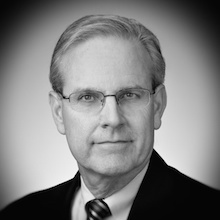 William Roberts concentrates his practice in the field of antitrust litigation and counseling, and complex commercial litigation, including class actions, trials and appeals in federal and state courts principally in the following areas: antitrust litigation and counseling ; international cartel litigation ; libel and First Amendment issues ; professional responsibility and legal malpractice. Representative matters: represented, in many cases, corporations and individuals in civil and criminal antitrust litigation, including international cartel cases and defense of private class actions alleging price-fixing ; steel corporation before the Supreme Court of the United States in a stockholders' derivative action involving First Amendment protection of corporate advertisements under federal election campaign finance laws and implied private rights of action ; major oil company as amicus curiae in landmark First Amendment cases in the Supreme Court of the United States. Mr. Roberts is trustee of the Curtis Institute of Music, the Philadelphia Chamber Music Society, and Marlboro Music School and Festival. He serves as chairman of the board of trustees for the Harvard Review of Philosophy. 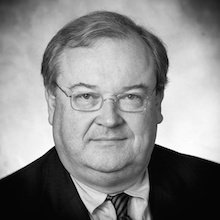 Stephen M. Goodman is a partner in Morgan Lewis's Business and Finance Practice and has been with the firm since 1994. His practice, focused on corporate finance and acquisitions, is dedicated to fostering emerging growth companies. As strategic counsel to startups in the technology and life sciences sectors, Mr. Goodman identifies companies with potential and takes them from conception through product development, growth, and beyond. Mr. Goodman is a founder of and senior partner in the firm's Emerging Business and Technology Practice. He has been consistently recognized by Chambers USA, an annual independent ranking of top lawyers, as an influential authority for his work with emerging growth companies. In May 2011, he received the Legend Award for Lifetime Achievement from the Greater Philadelphia Alliance for Capital and Technologies. Mr. Goodman is also founder of the firm's "Connect at Morgan Lewis" program, which brings together investors and entrepreneurs and guides clients through the process of refining their investor presentations through individual coaching sessions. 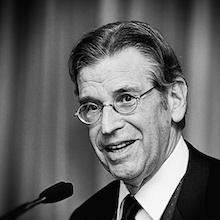 Stephan Rosenfeld, former journalist and corporate communications executive, is an authority on strategic-risk communications, civic engagement and media relations. Serving as a principal consultant to clients in the public and private sectors, his major areas of concentration include executive communications training, infection prevention/control communications, emergency planning and response, labor and employment relations, and legal affairs. Mr. Rosenfeld, whose early career was spent as a print and broadcast journalist, has held a number of senior positions in the private and public sectors. These include Press Secretary & Special Assistant to the Pennsylvania Attorney General (Judge Edward G. Biester, Jr.), and Assistant General Manager of the Southeastern Pennsylvania Transportation Authority (SEPTA). In 1967, he was selected to learn programming, allowing him to participate in the emergence of computing. 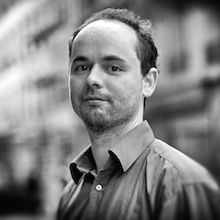 He began a career of computer management which led him to conduct projects within one of the largest French financial institutions and build numerous operating and project teams. Later Jean-Daniel began to play the guitar and undertake research on the lute. Using his computer skills, he began to copy, for his use, the tablature found in ancient manuscripts. 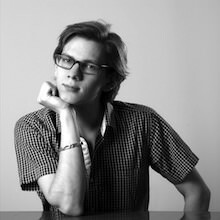 Born in 1991 in Epernay, Jerome pursued a study of design and applied arts and thereby sharpened his sense of detail and observation. Above all he then found a new medium of expression in photography. At the end of this study he now integrates Icart Photo school where he studied for 3 years. His taste for beautiful things pushed him to move towards studio photography, and mainly production. Thanks to his analytical capabilities, he uses light and is able to redraw shapes and materials to highlight the objects he photographs.